It's a Mario Party, and everyone's invited. Hey guys, whatcha playing? This weekend we've got Mario Parties, Harvest Moons, and more Helldiving ahead of us, among other things. Nick Puleo (@NickPuleo) - "In a total gaming funk, so no idea what I'll play. Been digging back through the Steam library. Maybe it's time to fire up Civilization again"
Danny Cowan (@db_cowan) - "I'm in the middle of replaying the PS1's launch lineup. Raiden Project and Total Eclipse are up next. One of those is actually good!" Mike Katsufrakis (@Pheriannath) - "Hopefully putting the Ivory King down for good in Dark Souls 2 just in time for Bloodborne to release." Andrew Gaskill (@cubninja) - "I'll be Helldiving and Dragon Balling my way through the weekend while trying to become Elite and Dangerous. " 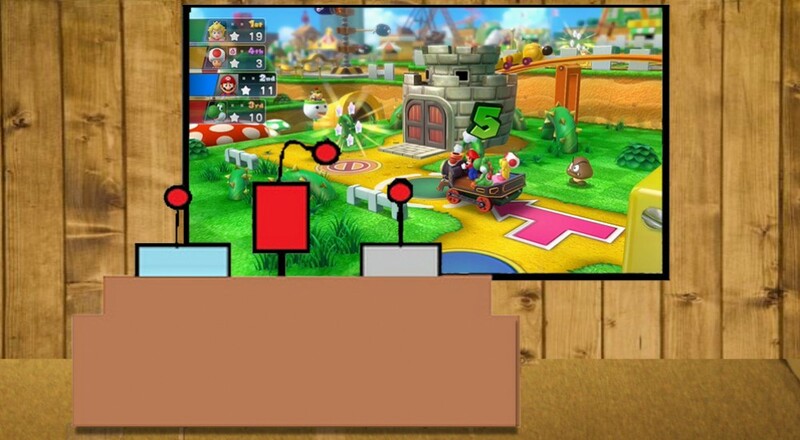 Marc Allie (@DjinniMan) - "We will be picking up Mario Party 10. Haven't played one since the Gamecube era and anxious to see how the series uses the motion and touchpad controls now. " Jason Love (@JLove55) - "Perhaps a little more Diablo 3, wrapping up Ori and the Blind Forest, and counting down until Bloodborne arrives." Eric Murphy (@smurph_em) - "Battlefield 4, Sniper Elite 3, and Minecraft will likely consume what's left of my weekend once soccer games, birthday parties, and spring cleaning nonsense are done." Locke Vincent (@LockeVincent) - "I'm going to sneak into Andrew's Hellpod and do some romantic cleansing of bugs and cyborgs. " Tally Callahan - "Grim Dawn and D&D Dice Masters probably!" Chris Metz (@The_Lemko) - "Got a lot of work to do in Helldivers, with some Evolve skin earning on the side." John Bardinelli (@itsamejohn) - "If I see one more person raving about Cities: Skylines, I'm gonna impulse buy and spend the whole weekend playing it." Enoch Starnes (@enochstarnes) - "Busy weekend out of town, but I may try to sneak in some Etrian Odyssey IV or Harvest Moon: A New Beginning." Taylor Killian - "I might try to soothe this terrible JRPG rash with some Tales of Hearts R."